Tata Hornbill Micro SUV: Is this IT? Recently, a media report suggested that Tata Motors is developing a brand new micro SUV for the Indian market, which will compete with the Mahindra KUV100. Code-named the X445, this Micro SUV has been dubbed as a mini Nexon of sorts. Earlier this year, during the 2018 Auto Expo, Tata Motors put out a teaser video throwing hints of its future products. 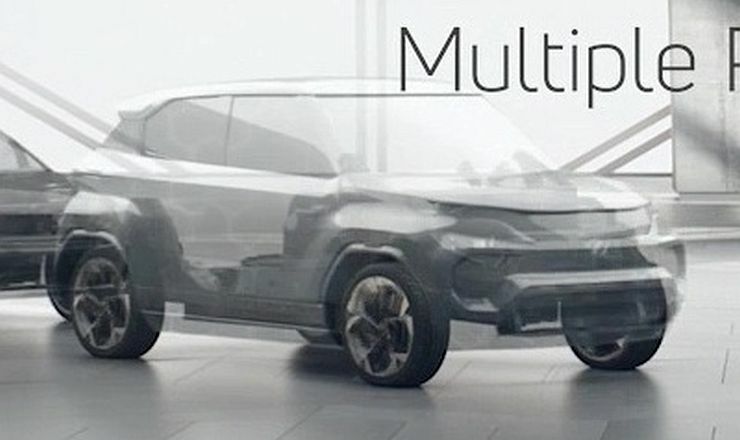 A screen grab from that teaser video shows a car that looks like a micro SUV. This could perhaps be the Hornbill micro SUV that Tata Motors plans to launch in India sometime in 2020/21. Apart from this screengrab, nothing much is known about what the Tata Hornbill could look like. The screengrab indicates a squat stance for the car, much like the Maruti Ignis, but with a much more taller profile, and more butch looks. The design seems to have an element of sharpness, quite unlike any other Tata car on sale currently. It doesn’t look like a scaled down Nexon. Rather, the Tata Hornbill micro SUV looks like the baby brother of the H5X, a full-sized 5-seat SUV that’s coming to India early next year. Although the Mahindra KUV100 and the Maruti Ignis haven’t really taken off in India, interest in the SUV segment remains sky high, and Tata Motors seems intent on riding this wave with multiple offerings, at multiple price points. While none of the mechanical details of the Tata Hornbill micro SUV have been revealed, we can take a few calculated guesses. Since the Hornbill will sit in the sub-4 meter segment, the petrol engine will have to displace 1.2 litres or lesser for duty benefits. Tata Motors already has the Revotron range of 1.2 litre petrol engines, both in naturally aspirated and turbocharged forms. Coming to the diesel engine, if it will actually be offered on this car, there’s the 1.5 litre Revotorq unit that can be borrowed from the Nexon. Tata also has the 1.1 litre-3 cylinder turbocharged diesel that it offers on the Tiago and Tigor.